What is the future for the YMP now that Chris Squire has left us? Please listen to the short episode and then let me have your thoughts in the poll below. Thanks Miguel. I think that with Billy now an official member, things are looking as good as they can. I hope I can re-start the podcast properly now. As Miguel says, your YMP friends are here, ready to support you, whatever your decision may be. As with Yes, themselves. I completely understand and support however it is that they wish to proceed. We know that for beginners, they will be touring shortly with Toto. Then off to to Europe. As we speak, I’m expecting Like It Is Mesa in my mail box any day, whereupon my wife and I plan a tribute watching of all four albums from the two DVD’s, and seeing the Fish in his last recorded performances. It will be painful and glorious. Like life. I hope to see them again with Billy in 2016, and so forth. Def Leppard soldiered on. Queen soldiered on, though to mixed feelings, to be sure. We may even have another studio album of original material before all is said an done. It’s a big maybe, but, it’s still a possibility. As to YMP, I just discovered the show last year. My wanting it to continue, (I chose option 2), is just my own personal desire. I look forward to it every Friday. It has become part of my routine. But I also know that it is One Fans Exploration of the Greatest Prog Band In the World. This is YOUR document. You have been kind enough to share your thoughts with us, and I enjoy it a great deal. I used to be a singer/songwriter. I know that it’s impossible to do anything when you have no inspiration. So like Miguel above, even though I chose Option 2, (keep on), I don’t think I, or anyone else wants you to do something you don’t want to do, or have lost inspiration for. I also know that inspiration and joy can return. Perhaps when you see Yes in Europe. Perhaps when you watch the Like It Is DVD from Mesa with CTTE and Fragile. So, perhaps you should do it when you feel a tug to do it again. Just take a natural break until you get your Yes mojo lit up again. I truly get it. And I’m sure the rest do too. My biggest hope is that after a grieving process, which we are all going through in our own ways, that you’ll hear, see or receive something that you’ll want to share with other Yes fans, and that will lift your spirit and set you going again. Until them, heal, hold your family close, and do whatever is right for you. We’ve all got your back however it works out. Thanks so much for your support, Steve. It’s taken some time but I am getting used to life without Chris – even though I passionately wish I didn’t have to! With Billy now in the band properly it seems like I can continue the YMP. We will see how it goes. Great to know you are listening. Hello Kevin…well I gave my vote which obviously is to continue what you are doing. Now i don’t want to sound harsh or Un feeling so please don’t take it that way but as far as I’m concerned there is no reason to stop. I agree the passing of Chris was terrible and it hit me pretty hard as well but I’m positive he wouldn’t have wanted us to sit and spending our time in sadness. The best way to honor his memory is to continue doing what you are doing. And that is making a wonderful Yes related podcast that thousands enjoy. Also since the band has chosen to continue there will be still lots to discuss. In closing I hope that you are doing well and look forward to hearing many more episodes. And remember if Deep Purple can continue without Jon Lord and the Who can continue without both John and Keith, then I have no doubt that Yes can continue without Chris. I’m sure he would have wanted it that way. Thanks Mark. I agree that the future of Yes seems bright, even without the legend. It’s great to see that Billy has officially re-joined as bassist and that gives me a lot of confidence that I can also continue – as does all the supportive messages I have received this week! Thanks again. I want to say “Amen” to Mark Anthony K’s post. I couldn’t agree with it more! Thanks Kevin..I’m glad I’m not the only one who feels that way. I really hope Kevin continues. ..i really enjoy the show. Kevin, I feel I’ve made a new friend in you through the YMP. While I know it’s hard right now – I can’t think of another artist’s passing that has made me feel the same – I urge you to continue. There is still plenty of Yes music with Chris to explore and dissect (there’s a whole world of bootlegs if you want to go down that path), and then there’s the “Drama” tour that you will be seeing next year and I won’t (I will need to hear your thoughts on it next year). Just smile every time you hear that thunderous bass. Thanks so much Ken. The number of friends I have made via the YMP is amazing – that is of course the best reason for doing it at all. I am coming round to the realisation that the Yes story is far from over and I hope I will be there to witness it and talk about it here. Kevin – like the rest of ALL YES fans – I am still in a state of shock about the passing of Chris. Today I finally plucked up the courage to watch Like It Is Mesa. And I must admit that I watched it with tears in my eyes. But, I also saw the picture of Billy Sherwood holding Chris’ Rickie. My feeling is that YES should go on for as long as they feel they can. Yes have always pulled together in times of adversity – and gone on to produce albums of worth – just look at Relayer, Drama, 90215, Fly From Here. I would rather watch the current version of YES play the YES canon than watch a tribute band. Billy was chosen by Chris. And reading between the lines on Billy’s posts about what Chris and he talked about during the last few weeks of his life, I also believe that Chris wanted YES to carry on, with Billy as his replacement. Personally I would have no problem with this. 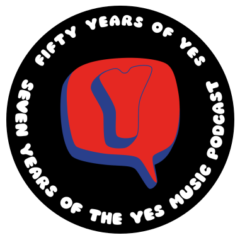 The one thing about YES is that they were always a band going through and embracing change – either in personnel or music. I hope they find the courage to carry on and produce new music but if they find they cannot – well, i will accept their decision and then look for YES tribute bands to go and see. As for the future of the YMP – I feel that you should carry on – weekly if you feel you can – or maybe fortnightly or monthly if you can – that’s why I voted ‘other’. There will still be lots to talk about for us long time followers but even more importantly, it provides a valuable resource for people who still not discovered YES – all those youngsters who, once they grow out of 1D etc will search out good music. So, please carry on if you feel you can – but if you feel you can’t, I will respect your decision. Thanks for the comments, Nick. I am starting to feel that Billy can replace Chris and I am certainly now looking forward to seeing him on stage in Birmingham next year. It’s great to know so many listeners want me to continue the YMP so I’m glad I set up the poll. Watch this space. While Yes will never be the same touring band there will always be the music(which will never change). I know you must feel conflicted at this time but I would urge you to stay with the podcast. Thanks for the support, Chris. That’s what kept me going so far! Not at all, Kevin. Chris may be playing bass in a better place but his music on earth will always live on in our minds and our hearts. 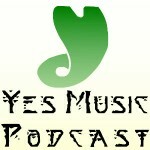 The Yes Music Podcast has been an integral part of my everyday life for the past few years. I would hate to see it go. Many fans feel the same. Look at the stats on the poll. Nobody wants you to stop! Of course if you feel like it, it’s your choice and obviously what you do with your time is nobody’s business except yours. But the demand is still there! Thanks John. It means a lot to hear your support. Lovely also to see the poll results! need to be made to the format or structure of the Podcast. Thanks Carl. I am actively thinking about what to do and your support is very much appreciated. We should all allow ourselves vacations or time off as needed. As a producer of online content myself, I sometimes feel that I’m forcing myself to create something one day, and then I’m thrilled to have the opportunity the next. Skip the days that feel like you’re forcing yourself to create, then relish the days in which you’re in the zone. Let it be a labour of love, not just a labour. Thanks for the comment! I love doing the podcast almost all the time so here’s to the next 200 episodes!